Where will you Spy Vic? The “Victory Joint,” now known as the Victaulic coupling, was patented on April 4, 1919. 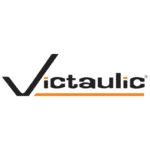 Over the last 100 years, more than one billion Victaulic solutions have been installed worldwide. As we celebrate our 100 years of innovation, or our “innoversary,” and look forward to our next 100 years, we invite you to “spy” Victaulic products wherever you are, whether that be at work, school, restaurants or anywhere your daily travels may take you. Share your photos with us using the #iSpyVic hashtag and keep an eye on our commemorative 100 years website as we showcase your findings! Remember: see, snap, share with the #iSpyVic hashtag!